Timewax provides online software (SaaS) for project & resource planning to business and technical service providers. The Timewax software is a multi-platform solution for project and resource planning, and performance analysis. In 2006, when Timewax was working hard on perfecting their software, they were looking for a reliable partner that could set up and manage a hosting environment for them. Initially this environment consisted of a couple of servers. Over the years, Timewax became increasingly successful, we made sure their virtual environment grew with them. In consultation we decided to build a private cloud environment. This customised redundant set-up consists of dozens of virtual machines, including webservers, database servers, a mailserver and servers for specific applications. By using load balancing, we ensure each server is used optimally. Timewax and Kumina have been working together closely for the past decade. Together we looked for the best ways, tools and solutions to offer Timewax its customers the best possible user experience. Initially their software ran on Java, at this moment it also runs on NodeJS and Python. Kumina manages the entire infrastructure, including the latest updates, monitioring and advanced security. Our trend analysis give us insight in the behavior of their servers and systems, which helps us with capacity planning. This way we can ensure the platform we provide for Timewax is always ready for future growth. In our experience, Kumina is a no-nonsense organisation. They do exactly as they say, give a high priority to security and they deliver an excellent price / performance ratio. Their informal culture is a perfect fit with ours. Together with Kumina we are always working on improvements that really matter to our customers. Kumina always thinks along with us and is always willing to execute addition activities and go the extra mile to improve our setup. . Kumina has been a stable partner to us for over 10 years that contributed to our success. Kumina is always looking for new optimisations, possibilities and innovative solutions for its customers. When Docker and Kubernetes were stable enough to be used in production environments, we took a look at the possibilities this could offer Timewax. We explained to the Timewax team how a Kubernetes-setup could help them save on costs, while also giving them more insight into their applications, the idea was enthusiastically received. 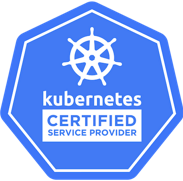 At the moment we are building their new environment and providing the developer-team with tips and best practices to get the most out of containers and Kubernetes. Te be continued!